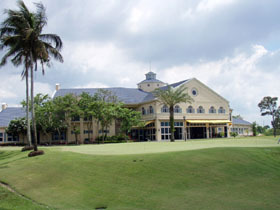 Eagle Ridge GC boosts 4 championship courses: Nick Faldo, Andy Dye, Greg Norman & Isao Aoki Courses. 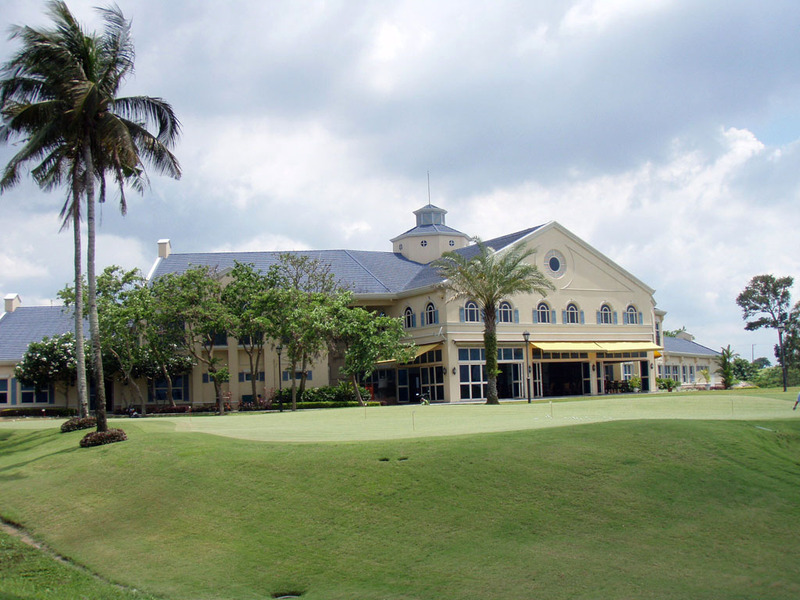 The Andy Dye Course is suitable for low handicappers who can hit accurate shots. Without a doubt, it is the most controversial layout at Eagle Ridge. It is a long course of more than 7300 yards, full of challenges. Golfers simply love it or hate it. Not only accuracy & distance but also full knowledge of the layout and proper course management are needed to shoot low scores. All par 4s & 5s are distinct and it’s fun to attack them. Most greens are narrow with one or both sides being protected by water, hazards or ravines, so pinpoint accuracy is needed on approach shots. 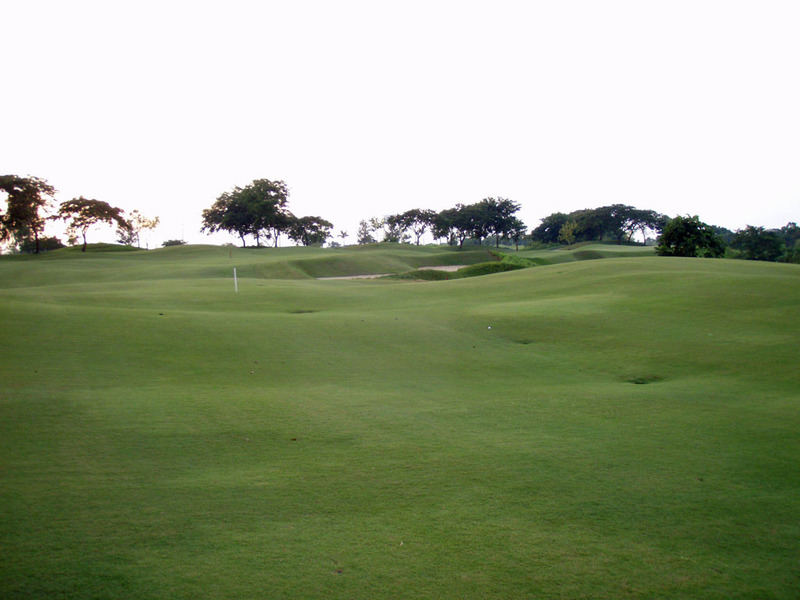 Fairway undulations make flat lies unlikely while rolls on the relatively small greens make 2 putt pars difficult. 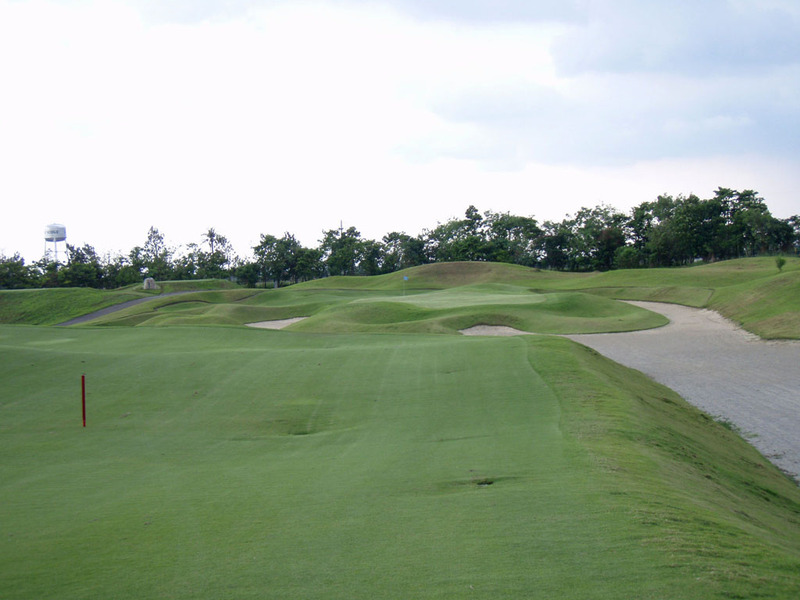 I have played more than 10 Pete & Andy Dye designed courses in Asia. This course is by far the most difficult. 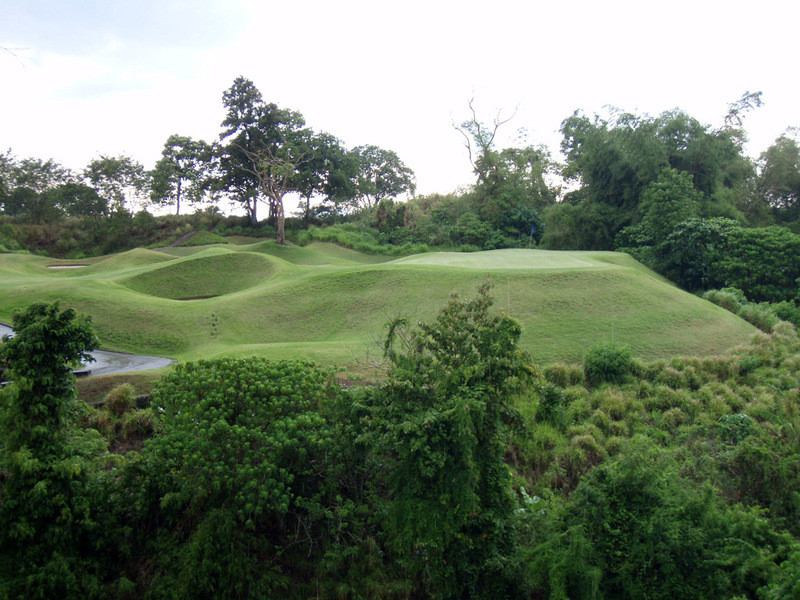 I have heard that Andy Dye daringly designed it very tough to provide Frankie Minoza, the most famous player in the Philippines, with challenging practice rounds. 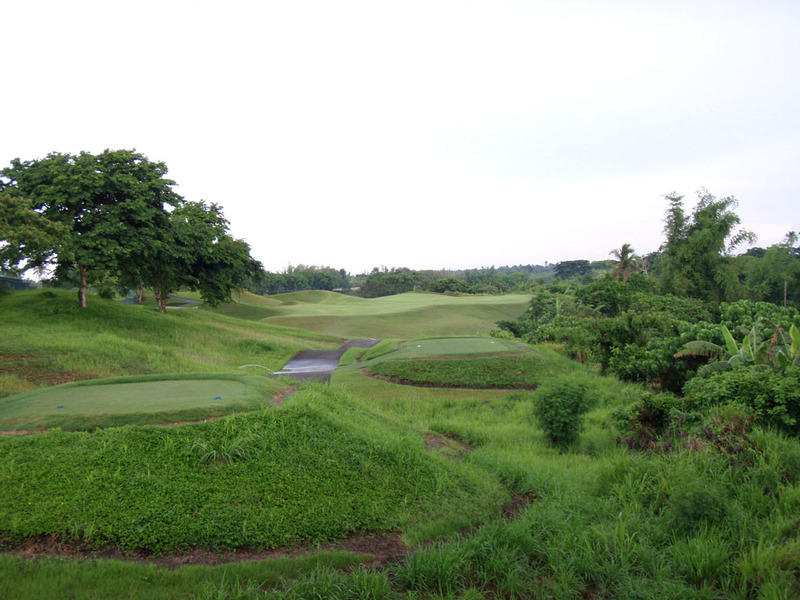 It is also the practice course for the Filipino amateur national team. 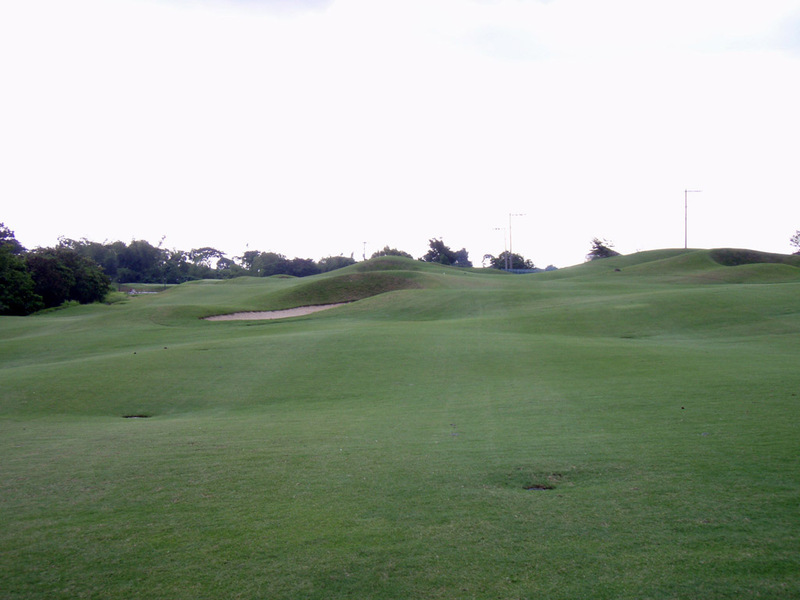 A slight dogleg to the right, a par 4. 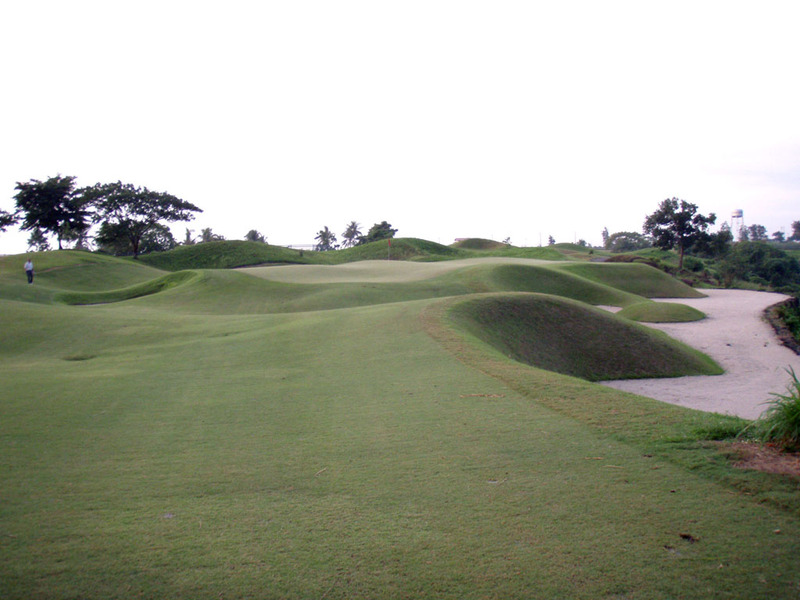 A long bunker runs along the right from the tee to the green, which not only defines this hole but also affects your mind. 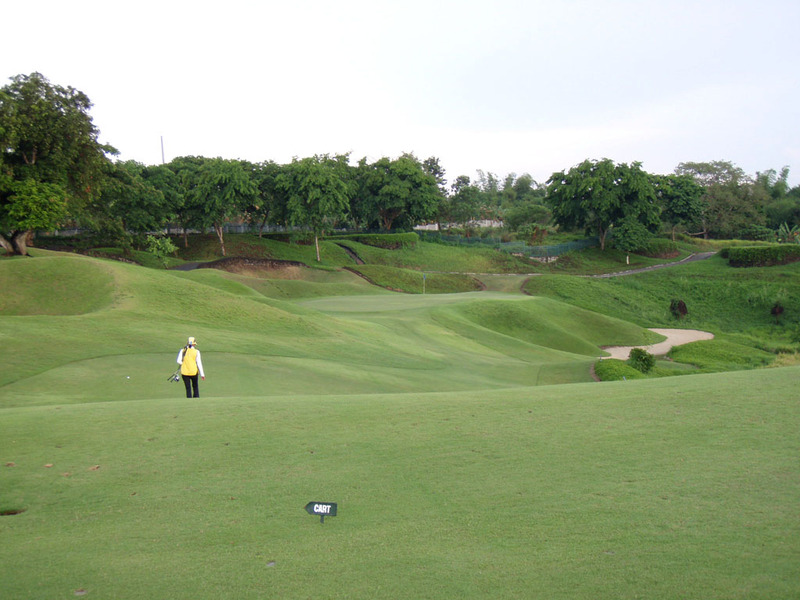 The green is small and surrounded by bunkers, so an accurate second shot is needed. A very long par 3. 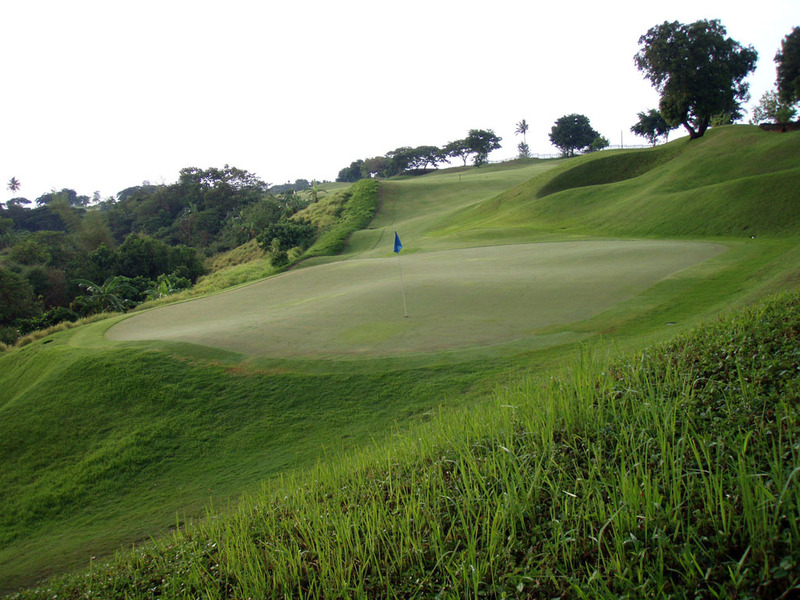 The green is deep & narrow and slopes sharply to left. 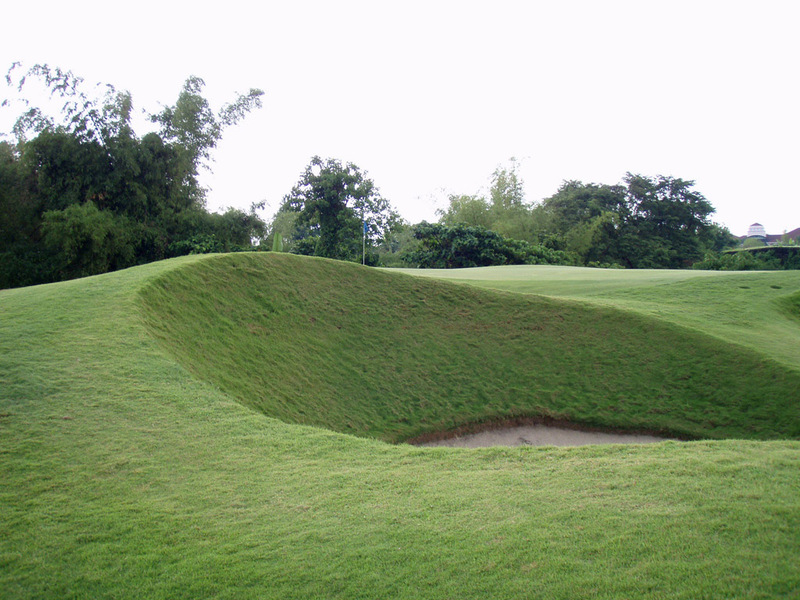 A bunker far in front of the green gives an optical illusion to make you think the green is closer than it really is. 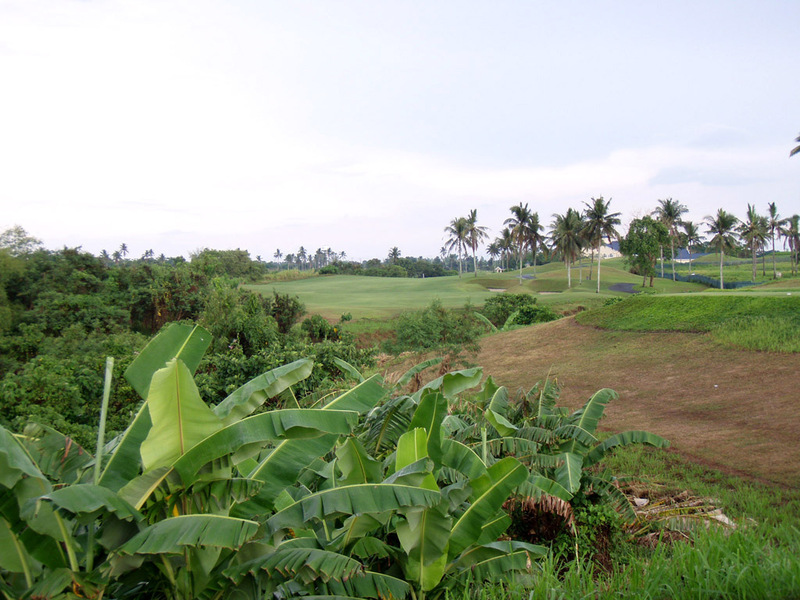 A slight dogleg to the left, a short par 5. 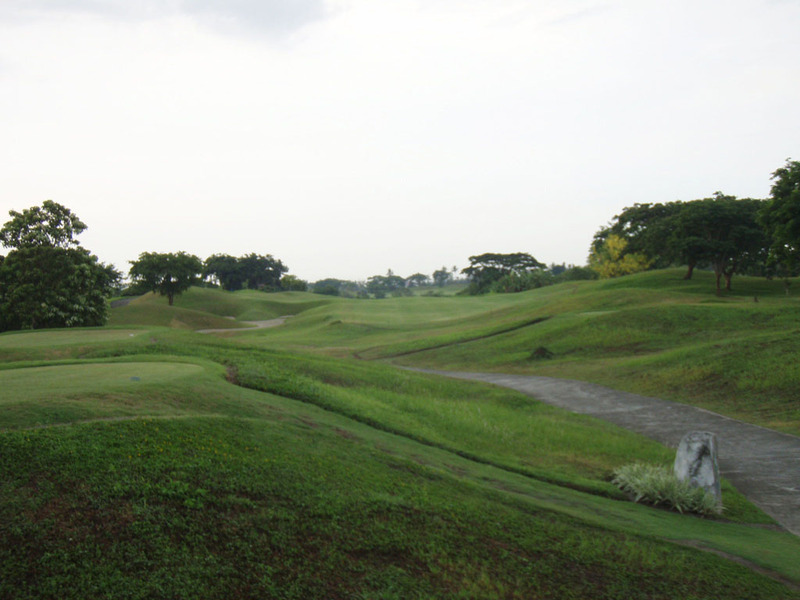 The tee shot is over a ravine that also borders the left side of the fairway. 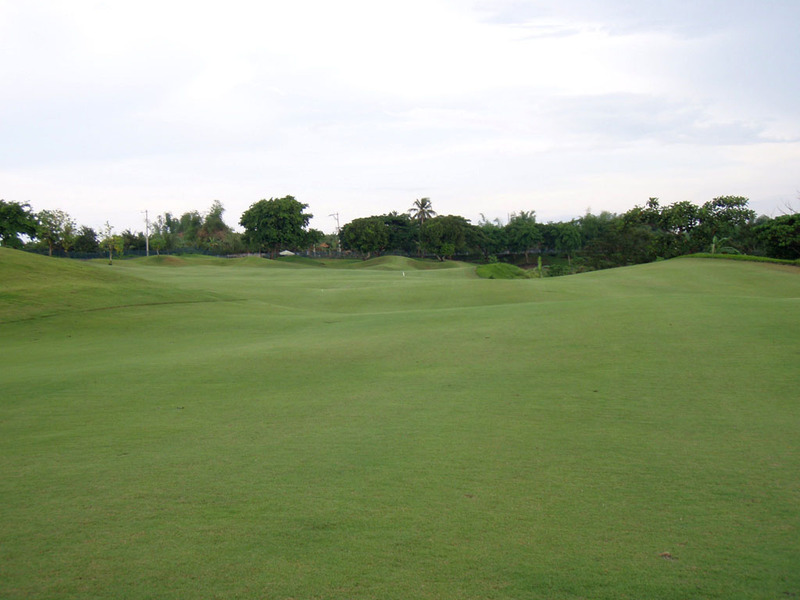 The green is narrow with a ridge in the center, sloping from the center to the back. 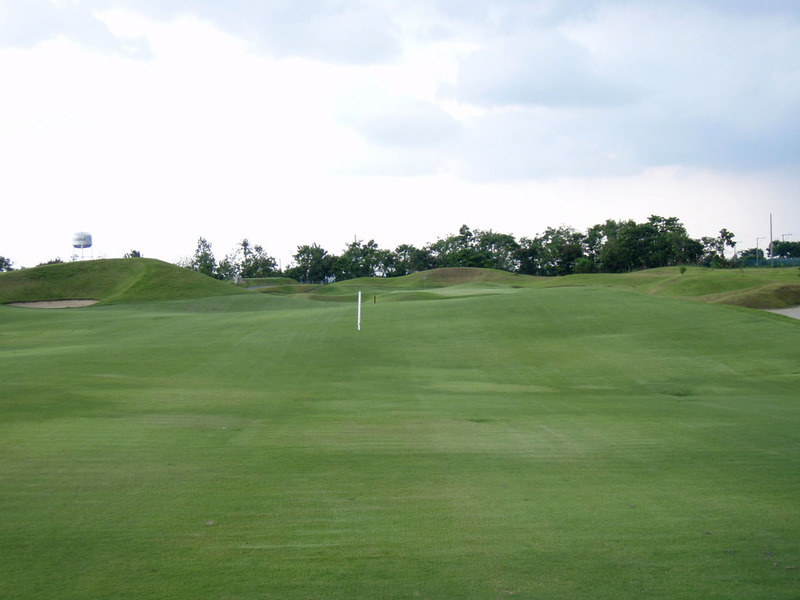 The entire left side of the green is guarded by a deep bunker, so right to left players must pay attention to it. 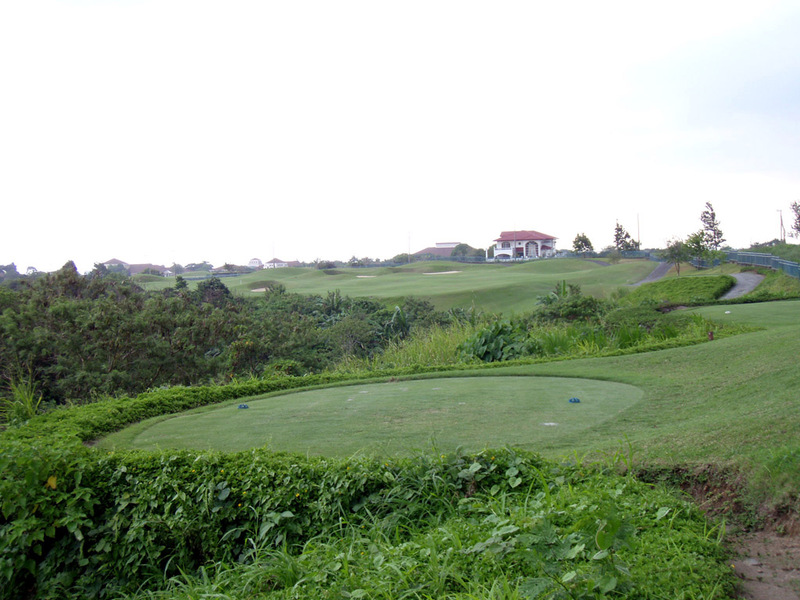 An excellent par 3 over a ravine. The front & right sides of the green border the deep ravine. There is a deep bunker guarding the right side of the green. You need to hit the green in regulation to make par. A slight dogleg to the right, a par 5. 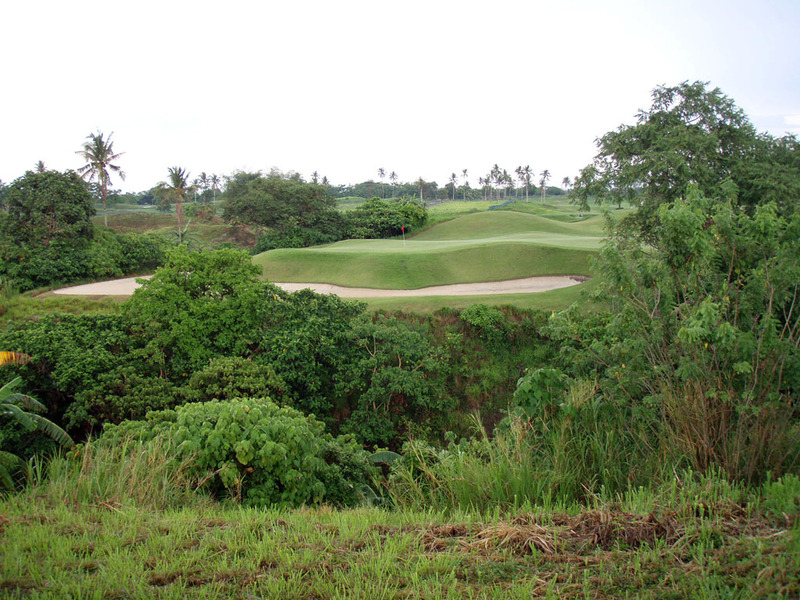 A ravine runs along the left and crosses in front of the green. 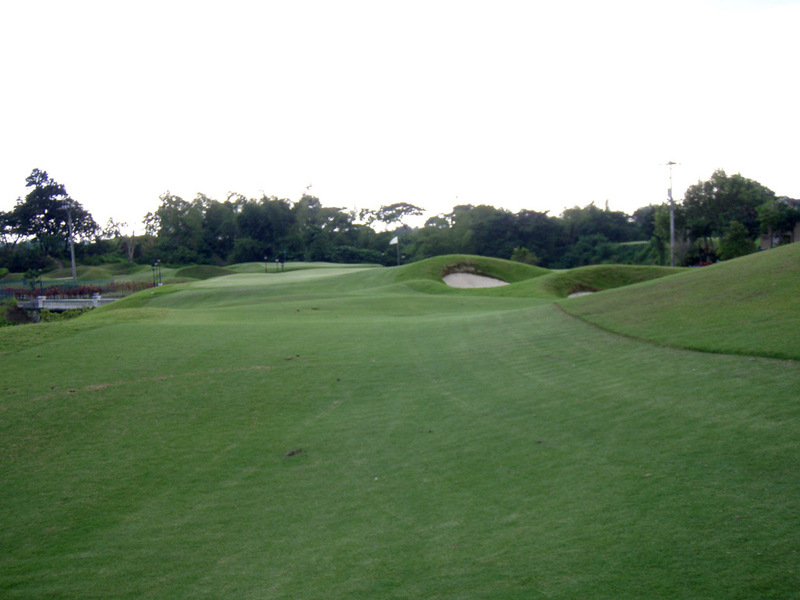 Long hitters can reach the green in 2 but the ravine in front of the green will penalize any shots falling short. 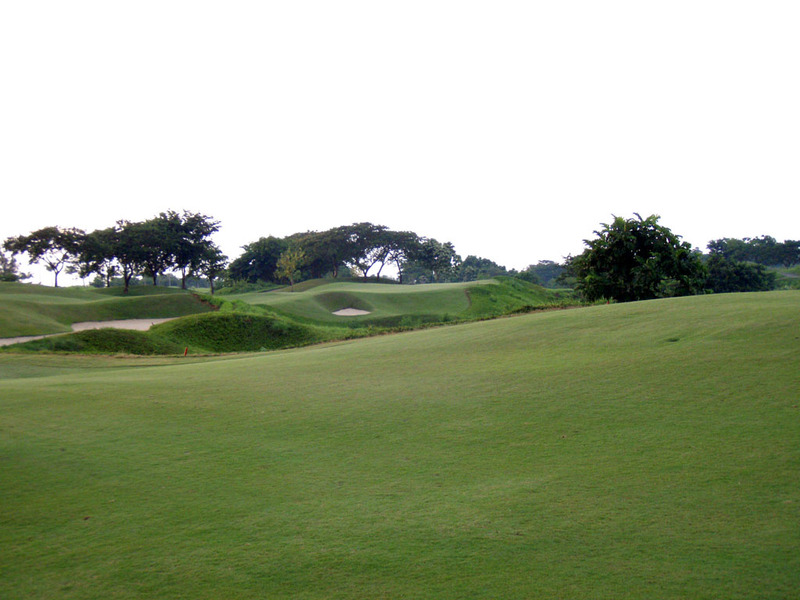 The green is elevated and guarded by a deep bunker in front of it. 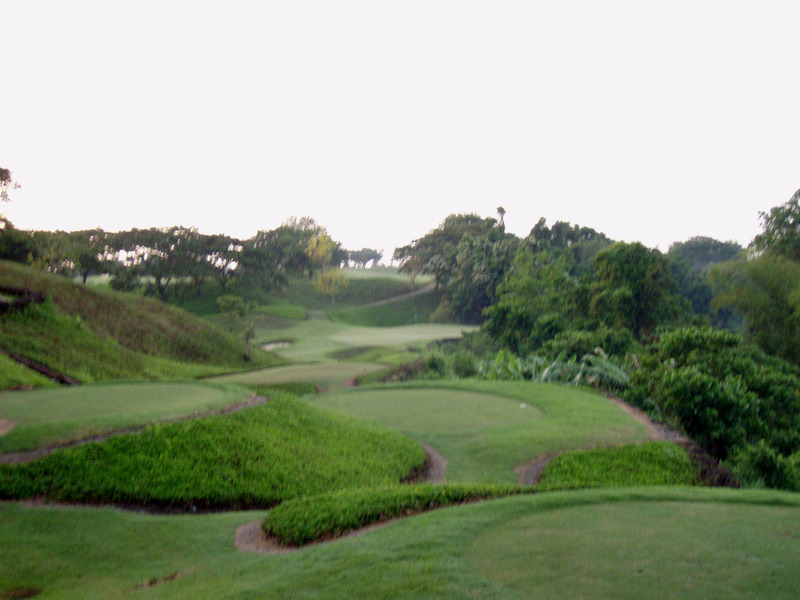 An almost straight, very long par 5 with a ravine along the right. 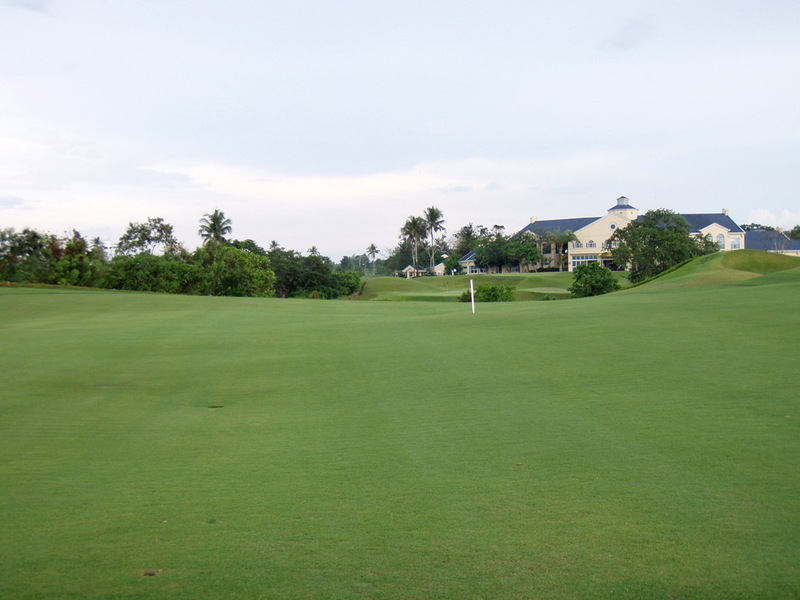 A carry of 230 yards is needed to reach the fairway off the tee. The fairway is very “hollow”. A bunker guarding the right side of the green is outrageously deep and should be avoided. There are 3 mounds on the green surface, which makes this demanding hole much harder. 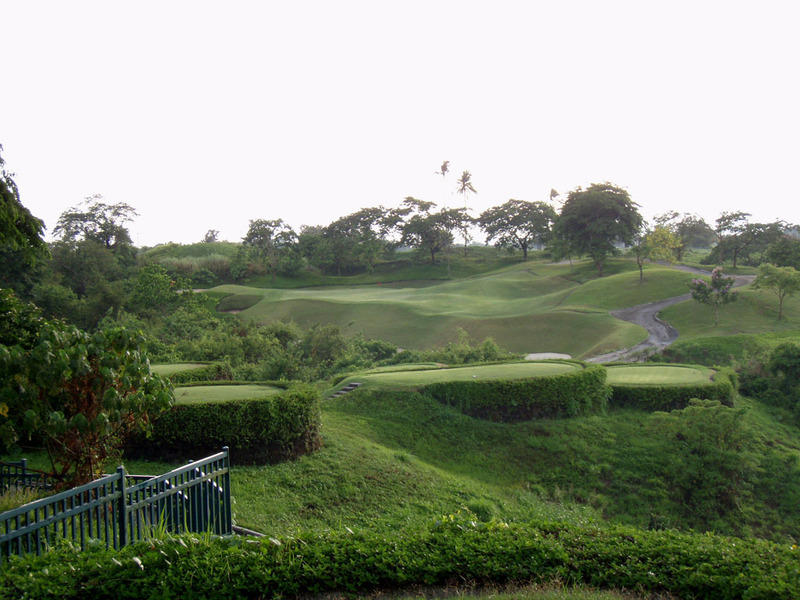 A par 3 over a ravine. 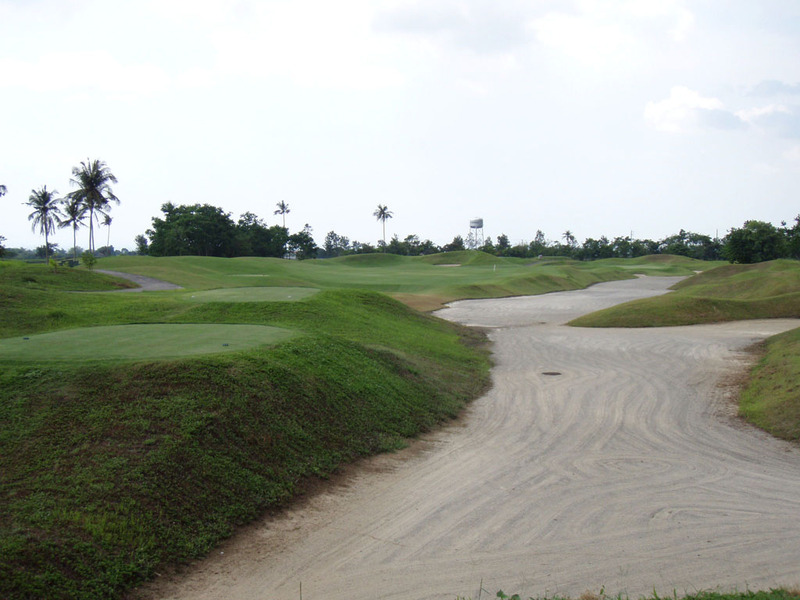 The front bunker is very deep, so shooting short of the green should be avoided at all costs. 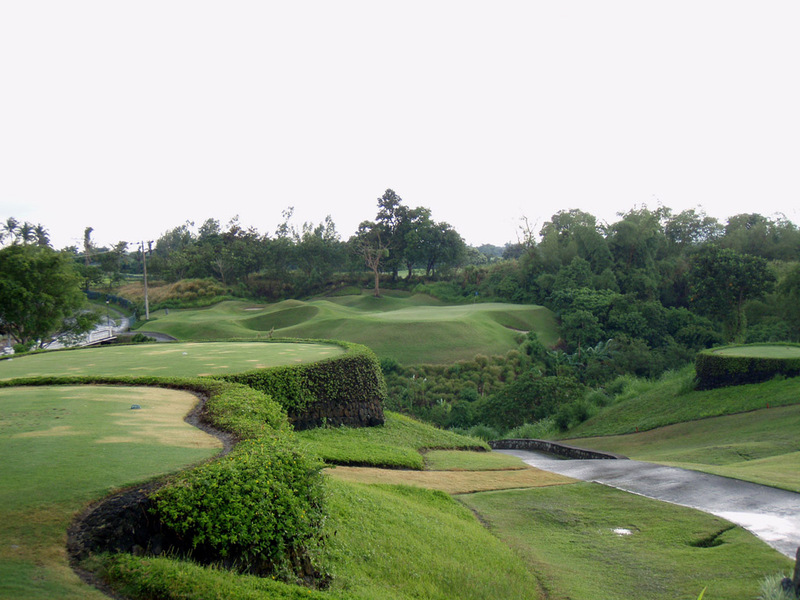 A dogleg to the left, uphill & a very long par 4. 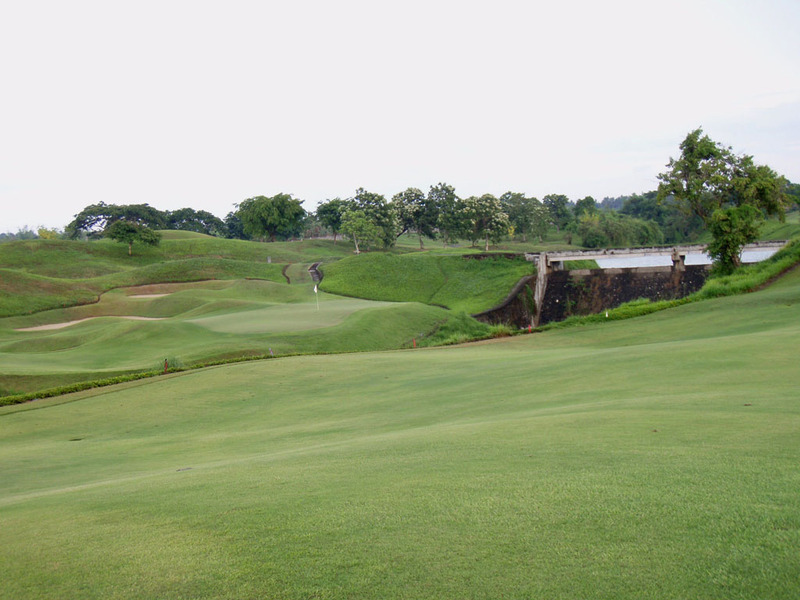 The slightly downhill tee shot needs a carry of 235 – 290 yards to clear a lake. A bunker guarding the left of the green is deep. Distance is required to reach the green in 2 shots but even long hitters have a hard time hitting the green in regulation if there’s a headwind. 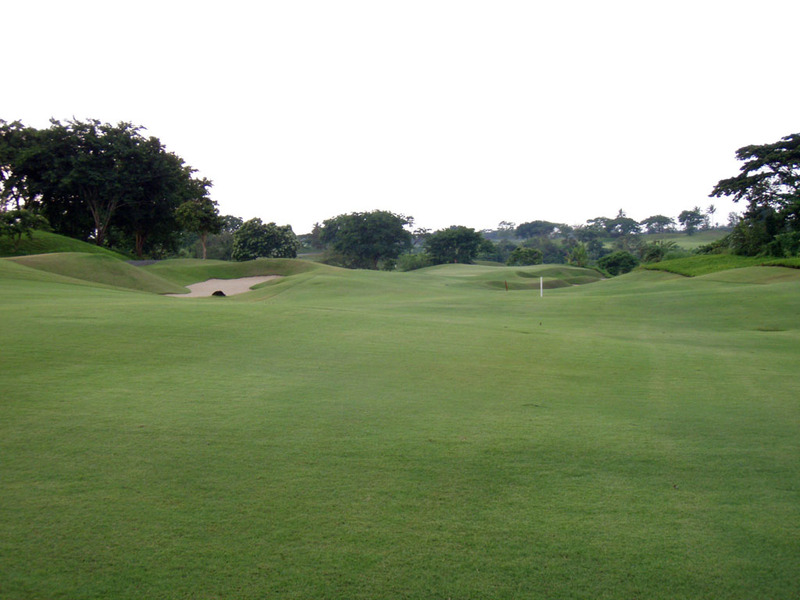 A straight long par 4. The second shot is downhill. The green is deep & narrow with a bunker and a hazard on the right. The fairway runs downhill from about 275 yards and narrows to as little as 30 yards, which long hitters should pay attention to. A slightly uphill, long & difficult hole. 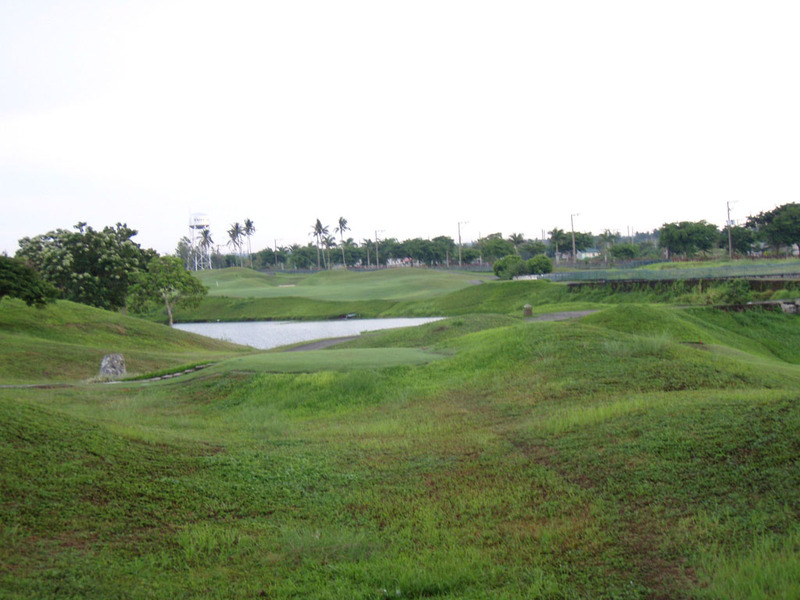 A ravine runs along the left from the tee to the green. It doglegs to the right 120 yards in front of the green. The green is elevated and deep & narrow. A par 3 over a hazard. 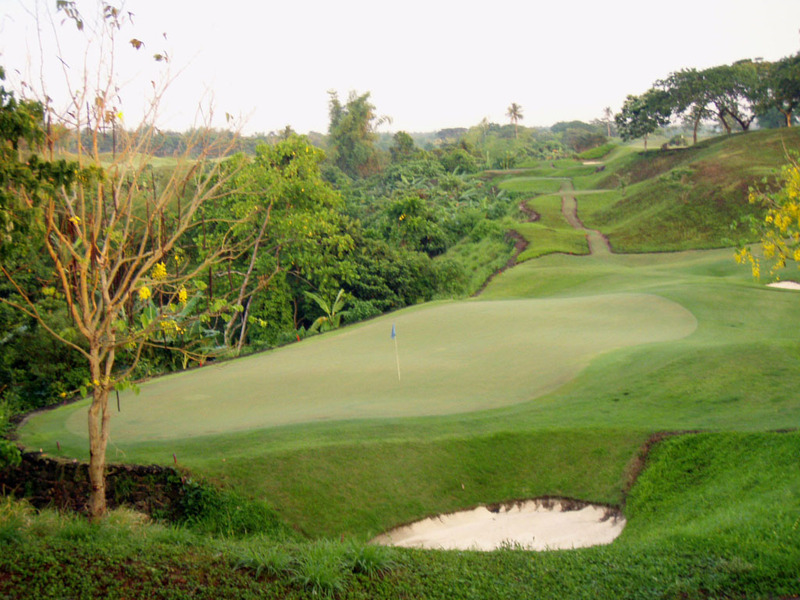 The green is deep & narrow and its left side borders a ravine that is also OB, so you’ll want to play safe by hitting the left side. It is a 1 hour & 20 minute drive from Makati. Visitors can play here but it is hard to book. 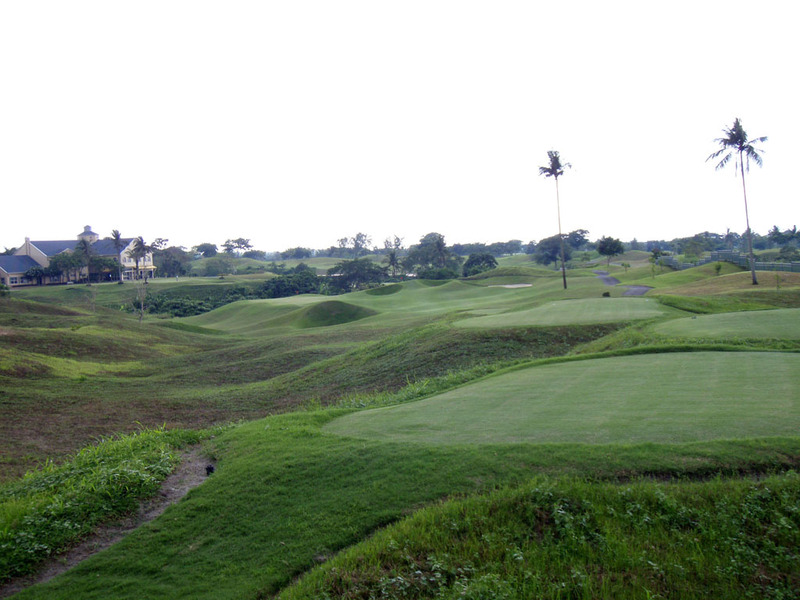 I could play freely from the longest gold tees. 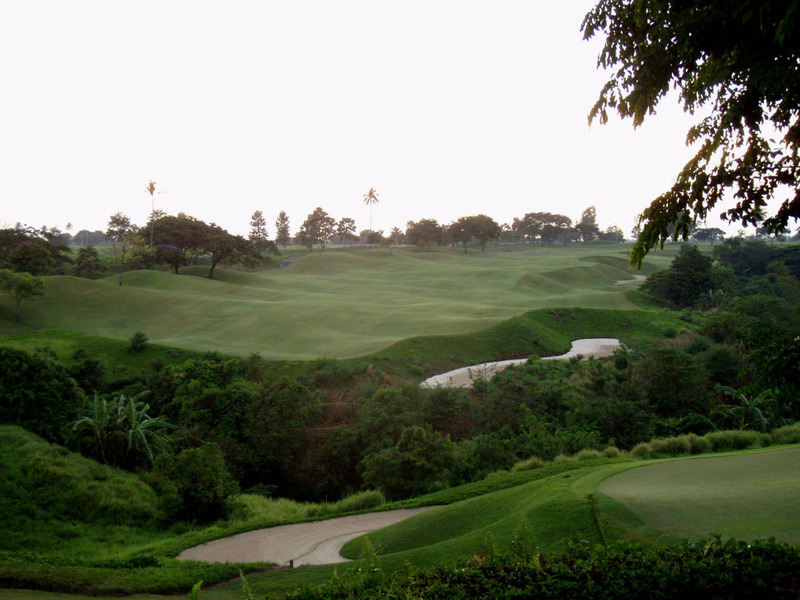 The other courses of Pete Dye, Andy Dye or Dye Design Inc. in Asia (excluding Japan) are as follows: West Coast GC in China; Khao Kheow CC, Subhapruek CC, Thai Muang Beach G&M, The Kao Cha-Ngok G&CC in Thailand; Woo Jeong Hills CC, Castlex GC in Korea; Laguna National G&CC in Singapore and Poresia CC, Orna G&CC in Malaysia.